Unsurprisingly, having a mentor is commonly viewed as a critical step towards achieving one’s personal and career goals. Many an article’s been written on why you need a mentor and how to get one. Lists of things your mentor is supposed to do for you are pretty lengthy. Most surprisingly, there is rarely a proper consideration for the personality and needs of the mentor himself/herself. Wait… what happened to a consideration that your mentor should be getting something in return for their valuable time and advice? What about the mentee’s role in making the relationship worthwhile? What about other daily opportunities to learn and grow, which should not be overlooked, in addition to enlisting a mentor? Turn your mentorship meetings into an easy choice, not a chore. Explore your mutual passion points. Do you both enjoy playing golf? Try new restaurants? Relish a good glass of wine? Watch a new play? Make it easy for your mentor to guide you. Unless you know the destination, it’s hard to provide you with the right direction of travel. Always offer something in return. Your mentor would be equally delighted to learn something new from every time you interact. Your success is their biggest reward. Aim to learn something new from a colleague every day. Don’t shy away from asking for your colleagues’ feedback and opinion; stress-test your ideas. You will be surprised how much you can learn from seasoned professionals, peers and recent graduates alike. Good advice can come from anywhere. My golf instructor, for instance, has a talent for life coaching by means of the funniest satirical storytelling. It’s half the reason for my progress: the lessons are so entertaining that I rarely miss one. Last but not least, finding the right mentor seems to be the main challenge for those who tried. With that in mind, kudos to the fantastic team behind the PR Week / Women in PR mentoring scheme that I’ve been lucky and privileged to be part of this year. Not only do they take care of the first most important step – pairing you up with the right high calibre mentor based on your objectives, dreams and goals – but they also ensure that you find yourself in a group of similarly driven and fun fellow mentees, who are a constant source of inspiration. The importance of mentors cannot be overstated. 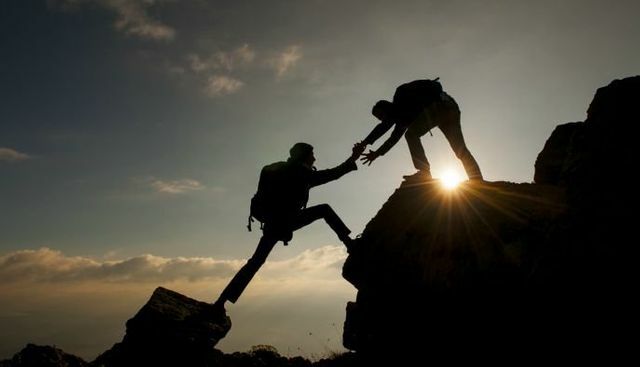 A good mentor inspires you, stretches you, connects you, develops your EQ, opens your mind and most importantly, doesn’t judge. They provide a safe space to learn, experiment and ask questions, no matter how seemingly stupid. In the corporate world, mentoring boosts employee engagement and retention, as well as knowledge retention. And in the startup world, mentorship makes early stage companies stick around longer (on average, an extra 2 years) and helps make them more successful.